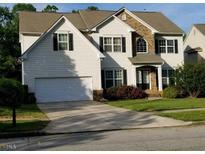 Find Heron Bay, GA Homes for sale. View Photos, Maps and MLS Data Now! Links At Heron Bay - Prequalified Buyers May Schedule A Viewing. MLS#8558586. Southside, Realtors. Pinehurst At Heron Bay - Very Clean And Well Taken Care Of, Ready To Move In MLS#8558660. Maximum One Realty Partners. Use One Of Our Preferred Lenders And Receive $500 Lenders Credit. MLS#8558186. Southside, Realtors. Heron Bay - Kitchen With Island, Hardwood Floors In Family Room, And Kitchen, Also With Granite Counter Tops, Stainless Steel Appliances, Trey And Vaulted Ceilings, Fenced In Back Yard, Jetted Tub, Huge Amount Of Windows That Allow So Much Beautiful Light, This Home Is A Showcase, Pictures Coming Soon. MLS#8555201. Academy Properties. It Is A Must See!!! Call Today For Info ! MLS#8553564. Remax Southern. Gables At Heron Bay - Home Has Been Well Maintained And Move In Ready. Call 1-800-Showing. MLS#8552755. 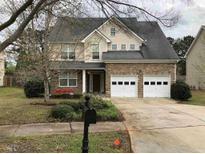 Success Atlanta R/E & Invest..
Springs At Heron Bay - This Home Is A Must See. Call Today For Private Showing....... MLS#8551465. Keller Williams Rlty Atl. Part. Possible No Down Payment If Using Usda Financing. Property Is Usda Eligible. 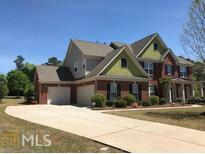 MLS#8548291. Hallway Realty Partners Llc. Springs At Heron Bay - This Home Is Definitely A Must See And Will Go Fast! MLS#8546471. Keller Williams Rlty Atl. Part. Links At Heron Bay - Heron Bay Community Offers A Fun Filled Family Lifestyle With Many Amenities For All Ages. MLS#8544034. Southside, Realtors. 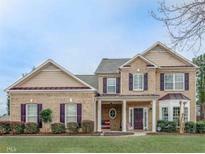 Heron Bay - Don'T Miss Out On This Home. MLS#8539752. Southside, Realtors. Links At Heron Bay - There Is Something For Everyone To Enjoy Here. MLS#8538831. Keller Williams Rlty Atl. Part. Meadow Glen At Heron Bay - Large Two-Story Home With Like-New Carpet & Paint Inside * Huge Master Suite W/ Separate Sitting Room & Large Walk-In Closet * Open Loft/Office Area On Upper Level Separates Bedrooms * Open Kitchen W/ Granite Counter Tops And Stainless Steel Appliances * Formal Living Room, Formal Dining Room W/ Judge'S Paneling & Den W/ Fireplace On Main Level * Fantastic Heron Bay Amenities With Resort-Style Pool, Tennis Courts, Playground, Lake, Golf Course, Sidewalks & Underground Utilities * MLS#8537390. Tara Properties, Inc..
Brookside At Heron Bay - Community Amenities, Swim, Tennis, Playground And Tons Of Social Events For Both Adults And Children. 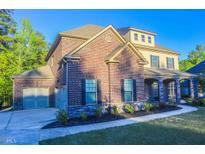 MLS#8535424. Southside, Realtors. Active Hoa, Social Events, Etc! A Must See! MLS#8535207. 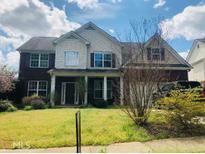 Heron Bay Realty Inc..
Heron Bay - Basement In Law Suite W/It'S Own Entrance-Kitchen Area-Rec Room/Family Room, Bedroom & Bath-Unfinished Workshop W/Boat Door-Deck & Lower Level Patio-Lake/Golf Comm! ! MLS#8530491. Welcome Home Real Estate Group. Heron Bay - Massive Master Bedroom Suite With Sitting Room And Spacious Bathroom With Separate His And Her Closet. MLS#8530848. Keller Williams Rlty Atl. Part. Heron Bay - The Fenced In Yard Is Perfect For Pets To Run Around Or A Summertime Bbq With Friends And Family. MLS#8515197. Jar House Llc. Monthly Fee Covers Lawn Maintenance (Excluding Courtyard), Trash, Irrigation, & Termite Bond! MLS#8515003. Southside, Realtors. 12-Month Home Warranty Offered Through Fidelity Home Warranty! MLS#8513814. Keller Williams Rlty Atl. Part. Owner Motivated. Come Take A Look! MLS#8502362. Re/Max Advantage.